A breach of contract claim is at the heart of business litigation. 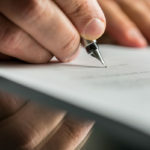 The elements of a breach of contract claim are (1) the existence of a contract, (2) performance by the party seeking recovery, (3) non-performance by the other party, and (4) damages attributable to the breach. With respect to the first element, for a contract to exist, there must be an offer, acceptance, consideration, mutual assent and intent to be bound. There must be, in other words, an objective meeting of the minds sufficient to give rise to a binding an enforceable contract. And in particular, an acceptance must comply with the terms of the offer and be clear, unambiguous and unequivocal. If the acceptance is qualified with conditions, it is equivalent to a rejection and counteroffer. And mere silence, when not misleading, can not be construed as acceptance. With respect to the second element, the Federal courts permit the plaintiff to plead in general terms that he has satisfied all conditions precedents to bringing the action, such as performing his end of the bargain. In some instances, the plaintiff may be excused from performing, such as where his performance was conditioned on the defendant’s performance, which did not take place. In such cases, the plaintiff need only allege facts showing he was excused from performance. With respect to the third element, the breach must be what’s called a “material breach”. A material breach is one that goes to the root of the agreement between the parties. It must be so substantial that it defeats the object of the parties in making the contract. With respect to the fourth element, resulting damages, the law seeks to put the injured party in the same position as if the contract had not been breached. In that endeavor, the law permits the recovery of both “direct damages” and “consequential damages”. Direct damages are those that flow naturally and probably from a breach of contract. For example, where the seller delivers imperfect goods, the buyer’s direct damages are the difference between the value of the defective goods and their value if they had been perfect. Or if the buyer doesn’t make payment, the seller’s direct damages are the money he was owed.